Michael J. Bell is presently the CFO for the DeKalb County School District and has previously been the CFO for both a large county and a large city. Dr. Bell who retired from the CFOs position in DeKalb County, Georgia, has also previously been in the private sector as a governmental investment banker. 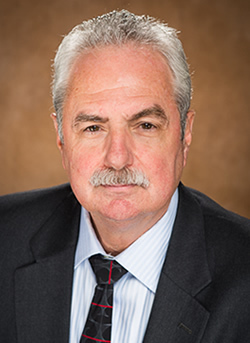 Prior to his many years at DeKalb County, Dr. Bell had been the CFO of the City of Atlanta and the financial administrator of the City’s Aviation Department during the Airport’s Midfield Project expansion. As a banker Dr. Bell represented one of the senior underwriters on the first $1 Billion of aviation revenue bond debt issued for the new Denver International Airport. While Dr. Bell was serving as CFO for DeKalb County, the county was upgraded by Moody’s (2001) and Standard & Poor’s (2006) to triple-A status; one of only three counties in Georgia to carry a “AAA” rating at that time. During his tenure as a County/City CFO Dr. Bell served on numerous special purpose authorities and pension fund boards. Five years ago Bell was appointed to the Board of the Development Authority of Fulton County by the Fulton County Commission. This development authority, one of the most active in the State, considers inducements for tax exempt and taxable economic development, health care and educational projects. Dr. Bell served as a line officer in the US Navy in USS Oriskany (CVA34) from 1972-1975. The Finance Division is the principle organizational entity responsible to the Superintendent relative to the long and short-term financial preparedness of the School District. The division consist of the major departments of Purchasing, Payroll, Budgeting, Accounting, Accounts Payable and Systems. Monika Davis is currently the Interim Chief Information Officer of DeKalb County School District, which has over 118,000 technology users. Ms. Davis started her career in the DeKalb County School District as a technology paraprofessional at Murphy Candler Elementary school in 1994. She has spent all 25 years of her vast career in educational technology working closely with all areas of Information Technology. Prior to her role as a district leader, Monika held many positions ranging from technician to school technology specialist to district-level instructional technology specialist. Ms. Davis’s graduate education includes a Master of Science degree in Instructional Technology and a Master of Education degree in Educational Leadership both from Georgia State University as well as an Education Specialist Degree in Instructional Technology from Kennesaw State University. Her interest in technology started as a student at Redan High School in Stone Mountain, Georgia where she excelled in coding, computer math, and graphics design. Upon graduation from Redan High School, Ms. Davis attended Georgia Institute of Technology where she studied Computer Science for three years. As fate would would have it, K – 12 education beaconed changing her career and higher education trajectory. Ms. Davis has worked with local school districts as an employee and consultant including DeKalb County, Fulton County, and Atlanta Public. She also has industry experience providing technical support and technology-related instructional design for businesses both stateside and abroad. She has facilitated multiple sessions covering various educational technology topics with collaborative learning groups, such as the Explorer’s Guild, Tech and Learning, and Learning Counsel. Ms. Davis is also no novice to the technology conference circuit, having served as presenter, panelist, steering committee member, and keynote speaker for events such as Georgia Educational Technology Conference, International Society of Technology in Education Conference, and RTM CIO Congress. Being a life-long learner is critical in a field as dynamic and constantly evolving as information technology. Ms. Davis embraces this challenge and believes it is her job to empower stakeholders by connecting the dots between information technology and education through leadership, strategic planning and execution, and ongoing advocacy. Ms. Davis is currently fixated on continuing the district’s digital transformation journey with a focus on enhancing security and operational effectiveness. The Information Technology department comprises of customer service-oriented professionals dedicated to the integration and implementation of technology across Dekalb County School District. Our goal is to expand the walls of the classroom by providing access to information and programs anytime, anywhere for anyone in a 21st century learning environment. Our job is to facilitate unique collaborative partnerships between our customers – students, teachers, staff, parents and the community. The results are improved student achievement and optimum business processes, to establish and maintain a technology-rich teaching and learning environment where students and staff develop 21st century skills to be successful citizens in a global community. 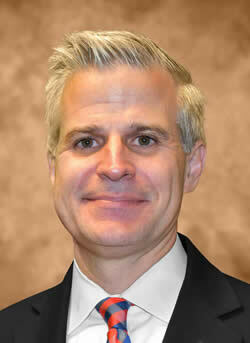 Mr. Daniel E. Drake serves the DeKalb County School District as Interim COO (Chief Operating Officer). Deeply committed to the District’s mission to “ensure student success, leading to higher education, work, and life-long learning,” Mr. Drake leads all Operations departments ⎼ Design & Construction, Transportation / Fleet Services, Facilities Maintenance, Planning, and Business Services ⎼ and more than 1,200 employees to continually inspire, achieve, and excel on behalf of the students, families, staff, and communities who call our District home. Central to Mr. Drake’s student-success-focused vision is a data-driven approach to Operations Management that seamlessly combines technology, innovation, research, and ever-evolving process refinement with an unyielding commitment to personal integrity and accountability. As such, Mr. Drake’s continuous-improvement-model for the Division emphasizes equity and inclusion via consistently accurate and transparent two-way communications with those the Operations Division serves. Mr. Drake, who earned dual Master’s Degrees in Civil Engineering and City Planning at Georgia Tech, has dedicated his 20+-year career to public service. In so doing, he translates his love of policy and planning into truly life-transforming action. The Division of Operations exists to provide exemplary support services to enhance student growth and achievement. We believe in fostering innovative, process driven strategies which utilize best practices and values customer satisfaction, creating and maintaining a safe and productive work environment, and promoting deep collaboration and spurring continuous improvement throughout our entire organization. Dr. Sherry Everett serves as the Chief of Staff to the Superintendent. The chief of staff advises and supports the superintendent on day-to-day matters and creates a culture of high expectations that result in accelerated student achievement and improved school performance. The chief of staff serves as a liaison between the superintendent and various internal and external stakeholders groups. The chief of staff also provides executive assistance to the superintendent in supporting and ensuring effective communication with the Board of Education, both as a group and as individuals. This support encompasses a wide range of key responsibilities with a goal of ensuring that the Board has all background information necessary to make decisions relative to the direction of the district. The chief of staff monitors and facilitates the progress of staff-led projects and initiatives, and is attuned to the concerns and positions of community individuals and groups relative to district activities and plans. 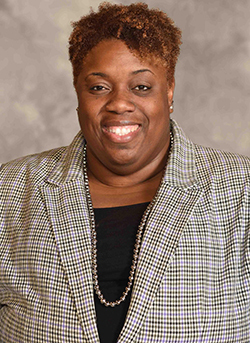 Ms. Woodard serves as the Interim Chief Human Capital Management Officer for DeKalb Schools. The Division of Human Capital provides support services for employees and applicants of the DeKalb County School District. Our Mission is to attract, retain, and support our high quality team members. We are responsible for the full life-cycle of employee human capital needs including: recuitment, hiring, certification, compensation and classification, benefits, and absence management. Ms. Key serves as the Interim Chief Legal Officer for DeKalb Schools. The Office of Legal Affairs represents DCSD regarding legal matters, provides advice and counsel to the Superintendent, the Board of Education, and ensures DCSD adheres to local, state, and federal laws and regulations. The department also manages the complaint process for employees and all other stakeholders. The Division of Accountability is responsible for increasing the awareness and understanding of performance in the school district, including a primary focus on ensuring processes and systems exist for continuous school improvement, research, strategy, and innovation. Stacy E. Stepney, Chief Academic Officer, supports and offers guidance to all district level staff, local school staff, parents/guardians, students, and community stakeholders. 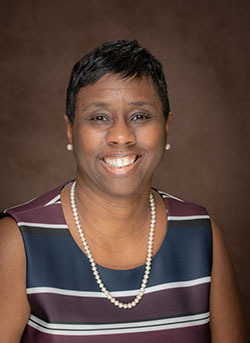 As the Chief Academic Officer, she analyzes formative and summative data, conducts formal and informal learning walks, collaborates with educators to make instructional adjustments, facilitates professional development trainings and workshops, and shares curricula updates and research-based practices to improve student performance outcomes. She fosters a culture that focuses on student learning, high expectations, innovation, and collaboration. Ms. Stepney began her career in 1993 as a long-term substitute in science at Dunwoody High School. Throughout her professional career at Dunwoody High School for 15 years, she was a substitute, paraprofessional, teacher, assistant principal, interim principal, and principal. In 2002 at the age of 31, Stacy was named principal; she was the youngest principal in the DeKalb County School System at that time. Ms. Stepney served as principal at Dunwoody High School for six years. Ms. Stepney joined the Division of Curriculum and Instruction in 2008 as the Director for High School Instruction. 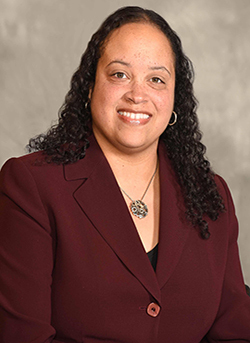 Over the last ten years, Ms. Stepney has focused on teaching and learning while serving as the Director for Electives and Special Programs, Executive Director for Curriculum and Instruction, Associate Superintendent for Curriculum and Instruction, and Interim Chief Academic Officer. 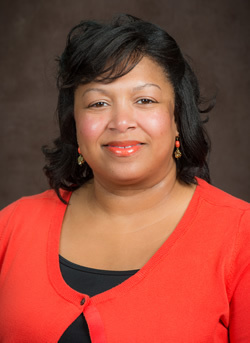 In May 2018, Ms. Stepney was appointed Chief Academic Officer. In an effort to stay abreast of best teaching practices consistent with educational trends, Stacy is a member of ASCD (formerly the Association for Supervision and Curriculum Development) and the Professional Association of Georgia Educators (PAGE). She is also an active member of Alpha Delta Kappa, an international honorary organization for women educators. Ms. Stepney is a native of Grenada, Mississippi. She graduated from Southwest DeKalb High School in 1989 as the co-valedictorian of the class. Stacy furthered her education by earning a Bachelor of Science in Biology and minor in Chemistry from Xavier University of Louisiana in 1993. She graduated with honors in English, math, and history. She continued her graduate studies at Georgia State University in 2000 and earned a Master of Education in Educational Leadership. Also, Ms. Stepney attended the Harvard Public Education Leadership Project, a summer leadership institute sponsored by the Harvard Graduate School of Education and Harvard Business School. Dr. Vasanne Tinsley is a native of Atlanta, Georgia. She has served in many roles in the education arena over 20+years, including grant writer, school counselor, coordinator, director and instructor for several higher educational institutions. She discovered her passion for helping others at an early age and it remains her driving force both professionally and personally. Dr. Tinsley is a graduate of Spelman College and received additional educational preparation at Clark Atlanta University, where she received both her Master and Doctoral degrees in the fields of counseling and educational leadership. She is committed to lifelong education and believes that education is one of the primary ways that we can influence positive change in our society. Dr. Tinsley has participated as an advisory board member with many organizations, including the College Board, the Georgia ACT Council, Mercer and Clark Atlanta University, just to name a few. She also represents the DeKalb County School District as a board member of the DeKalb Board of Health and Community in Schools, Atlanta. Dr. Tinsley believes in volunteer service and has served as a mentor to many both officially and unofficially. She has mentored several students attending Spelman College and participates actively the United Way, where she serves as the Education Chair for United Way- DeKalb. In her spare time, Dr. Tinsley enjoys listening to music, attending concerts, reading, attending sporting events and traveling. The Division of Student Support and Intervention is comprised of individuals committed to providing support to help students successfully navigate their school career and the world beyond. Included in this division are the departments of Student Support, Student Relations, Public Safety, Athletics, School Choice Options/Student Assignment, English Language Learners, and Student Advancement. Ms. Sherry L. Johnson is the Region I Superintendent for DeKalb County School District. With 19 years of experience in DeKalb County Schools, the Louisville, Georgia native is a results-driven leader with a history of utilizing data to generate positive growth in teaching and learning. Ms. Johnson has served in all five regions of DeKalb as an English teacher, Reading teacher, America’s Choice Literacy Coach and a SpringBoard Instructional Coach. Additional experiences include Interim Principal and Federal Funds Coordinator. Prior to her current position as Interim Region I Superintendent, Ms. Johnson was the Region I Coordinator for four years. As the Region I Coordinator, Ms. Johnson created the Region I Assistant Principal Academy, providing a platform for Assistant Principals to share knowledge and mentor new leaders. She also worked closely with principals and parents to ensure best practices for students. While serving as a Federal Funds Coordinator, Ms. Johnson managed budgets totaling over 2 million dollars and worked with principals to write data-driven needs assessments. Ms. Johnson was an America’s Choice Literacy Coach at McNair Middle School and a SpringBoard Instructional Coach at Sequoyah Middle School and Miller Grove Middle School. 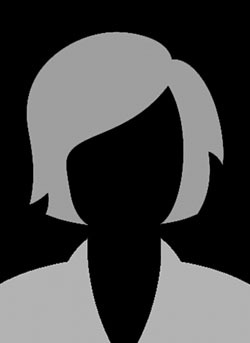 She has also been a GAPSS (Georgia Assessment of Performance on School Standards) team leader. She taught English and reading at Chapel Hill Middle School. Additionally, Ms. Johnson presented “Changing the Change Agent” at the 22nd Annual High Schools That Works Staff Development Conference and published an article in the Georgia Journal of Reading. Currently, Ms. Johnson is a doctoral student at the University of Georgia. She earned her Specialist’s degree from Capella University, her Master’s degree from Georgia State University and her Bachelor’s from Valdosta State University. Ms. Johnson credits her passion for education to her dedicated parents and engaging with innovative professionals. She has one brother and is a loving aunt to her nephew and niece. Trenton Arnold is a second-generation graduate from the DeKalb County School District’s decommissioned Avondale High School. He began his career with the District teaching Language Arts to Grade 6 students at Fairington Elementary School before middle schools became fully operational in DeKalb. Once Grade 6 students moved to middle schools, he transitioned to Stone Mountain Middle School to work in the same content area and grade level. In 1999, he became an Assistant Principal at Cedar Grove Middle School and then Assistant Principal for Instruction at McNair Middle School. In 2005, Mr. Arnold became Principal of Sequoyah Middle School where he served for four years and then went to work as Principal at Stone Mountain Middle School for almost two years. After serving as Principal, Mr. Arnold was the Executive Director for Research, Assessment, and Grants where he led the District in meeting requirements associated with state assessments and accountability. He then became a Regional Superintendent for Region III before beginning his work with the schools in Region II in 2014. Mr. Arnold received his undergraduate degree in English from Presbyterian College in Clinton, SC, and his master’s degree in Educational Leadership from the University of Georgia. He enjoys spending his free time with his wife, Christy, and his two daughters, Lauren and Molly. Dr. Sean R. Tartt is a native of Georgia and is a product of DeKalb. As a college student, in the summers, he worked as a paraprofessional, long term substitute teacher, and warehouse office supply clerk. This fueled his fire to become a teacher at Narvie J. Harris Traditional Theme School (4yrs. ), 9th grade boy’s head basketball coach and assistant varsity boy’s basketball coach at Tucker HS (1yr. ), assistant principal at Lithonia Middle School (4yrs. ), principal at Narvie J. Harris Traditional Theme School (11yrs.). 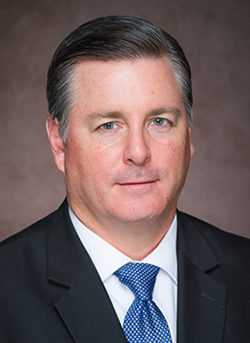 In 2014, Dr. Tartt was named the Region IV Principal of the Year. 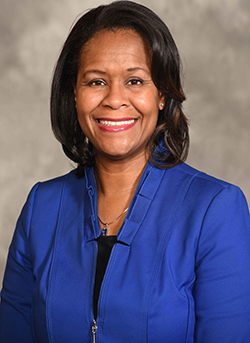 Dr. Tartt was promoted to serve as the Region III Superintendent in June of 2018. 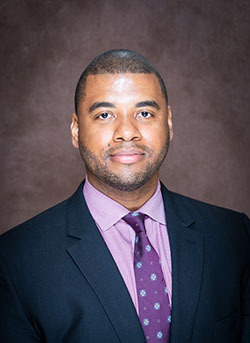 Dr. Tartt received a Bachelor of Science in Health & Physical Education and Masters Degree in Educational Leadership from Florida Agricultural and Mechanical University. He received his Specialist in 2005 and Doctorate in 2008 in Educational Leadership from Argosy University in Atlanta. Dr. Tartt was awarded the Outstanding Citizen Award from the Secretary of State in February of 2009 and in December of 2009. He has likewise received other awards, recognitions, and acknowledgement such as: Proclamation for Outstanding Service, Scholarship, and Leadership 2009 for the United States House of Representatives, the Governor’s Outstanding Contribution to Education in 2009, and the DeKalb Commissioner’s Community Service Award in 2002. As a vibrant instructional, organizational, and forward-thinking leader, Dr. Tartt spends a great deal of his time learning and strengthening the educational toolboxes of others. 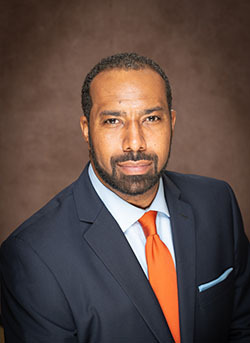 Within his roles of administration, he has been sought to serve as a district hearing officer, instructional assistant principals’ and principals’ advisory member, and principal mentor. He is known for being a “hands on” type of leader and having strong ties in the community. He follows and mentors students as they matriculate from elementary to adulthood. Dr. Tartt is an established presenter of numerous educational topics as well as an extraordinary motivational speaker. He is a member of Phi Delta Kappa, DeKalb Administrators’ Association, and other civic organizations. He thoroughly enjoys sports, community events, and working outside in the yard. In all that he does, he leads, learns, and lives by Benjamin Franklin’s quote, “If better is possible, good is not enough”. Dr. Michelle E. Jones is committed in service leadership to the children of DeKalb County schools. She has served 23 years in roles as Teacher, Department Chair, Assistant Principal and Principal prior to her most recent appointment as Regional Superintendent. From the beginning as a classroom teacher in mathematics at Redan High school, where she graduated, to that of a teacher leader at Miller Grove High School, Dr. Jones always focused on student performance. Recognized for her ability to bring together disparate points of view toward finding workable solutions to instructional issues, she was named Assistant Principal at Chamblee Charter High School. Her contributions to improved student performance there included making student-focused decisions, coordinating AP testing, which at that time was the largest in the district. In 2010, she was selected by the Superintendent as the Turnaround Principal for Clarkston High School. Dr. Jones had the challenge of closing the achievement gap for students representing 47 languages who had to learn both the disciplinary academic standards as well as become fluent in the English language. She met that challenge. During her eight-year tenure, Clarkston showed marked improvement in all phases of student performance-academic, athletic, and the arts. Under Dr. Jones’s leadership, Clarkston earned the Model Insight School recognition and the Silver Award issued by the Georgia Governor’s Office (GOSA) for student achievement. This same transformational leadership style Dr. Jones brings to her current position, Regional Superintendent. She makes data-driven decisions, articulates clearly goals and consistently follows-up with these goals in order to ensure quality implementation. Dr. Jones will model a lesson for a teacher, model for her coaches how to analyze data, and stand firm to support a child in need, all essential to support increased student performance. For her leadership efforts, Dr. Jones has been recognized by peers and district leaders as the Region and then district Principal of the Year in 2016. 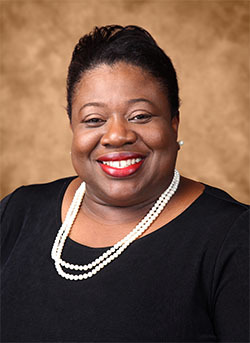 Dr. Jones received her Bachelor and Master degrees in Mathematics Education from the University of Georgia and PhD in Educational Leadership from Mercer University. Her family is based in the DeKalb community. Her husband Ron is a graduate from a DeKalb school and her children Kristen, Ronald, and Kelly attend DeKalb schools. Camille is a recent graduate of DeKalb. Dr. Triscilla Weaver has twenty-five years of educational experience with the DeKalb County School District. 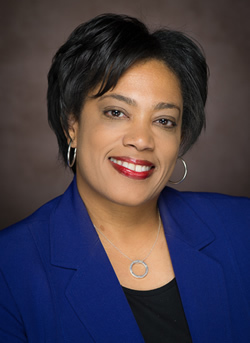 Her experience includes nine years as a classroom teacher, three years as an assistant principal, eleven years as a principal and she was named Region IV Superintendent on April 1, 2015. Prior to becoming Regional Superintendent, Dr. Weaver served as principal of Mary McLeod Bethune Middle School. Under her leadership, Mary McLeod Bethune Middle School received the honor of being named a Title I High-Progress School. This honor is given to the top 10% of Title I schools in the state that made the most progress in improving the performance of all student subgroups over a three year period of time on the statewide assessment. As an instructional leader, Dr. Weaver spends a great deal of her time strengthening the instructional capacity of others. She works with teachers and school leaders in the areas of data analysis, effective teaching strategies, differentiated instruction, and effective classroom rituals and routines for academic success. She currently serves as one of the co-chairs for the CIA2 Committee, which is dedicated to building instructional capacity in building leaders in the areas of curriculum, instruction, assessment and accountability. Dr. Weaver received a Bachelor of Science in Education, Master of Education and Specialist in Education from Georgia State University. She also earned her Ph.D. from Georgia State University in Teaching and Learning with a concentration in mathematics. Her Dissertation topic was: “A Case Study of Two Master Teachers of Mathematics of African American Males.” Dr. Weaver has received several outstanding community service awards and is a former DeKalb County’s Middle School Teacher of the Year. Mrs. Pamela Benford is the Region VI Superintendent for DeKalb County School District. Her entire career has been characterized by service for others. Prior to beginning her educational career, she served as a chemical officer in the United States Army, attaining the rank of Captain before being honorably discharged. Continuing her dedication to service, she accompanied her career-military husband to Germany and volunteered for several years as a tutor in the area of adult education. After relocating to Atlanta from Europe, Ms. Benford heard of the shortage of teachers and began her service to DeKalb County School District, initially serving as a mathematics paraprofessional. She has also served 13 years as a chemistry teacher, 7 years as an assistant principal, and 8 years as a high-school principal. In 2016, she was named Region V Principal of the Year. During her 8-year tenure as principal at Cedar Grove High School, the school moved from a needs-improvement status to becoming one of the highest performing schools in the district. Ms. Benford received a Bachelor of Science in Chemistry from the University of Southern Mississippi. She received her teaching credentials and a Master of Education in Educational Leadership from University of West Georgia. She is currently pursuing an Educational Specialist degree from Georgia State University. Ms. Benford is a wife, mother of two, and grandmother to three. She is very proud that her sons, now very successful adults, both matriculated through the DeKalb County School District. Ms. Benford is a celebrated educator whose recognitions include: 2016 Region V Principal of the Year, Horace E. Tate Award for African American Excellence in Education, Community Impact Award, and the Educational Trailblazer Award. She was also selected as a subject for the feature story “Called to Lead,” in KNOW magazine. Ms. Benford holds membership in several professional and public service organizations. 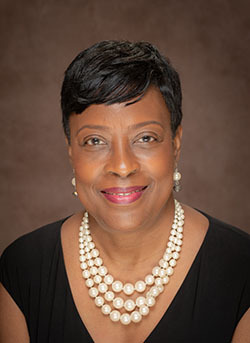 Among these are the National and the Georgia Association of Educators, the Association for Supervision and Curriculum Development, DeKalb Association of School Administrators, and Alpha Kappa Alpha Sorority, Inc.
Dr. Bernetta Jones is the Region V Superintendent for DeKalb County School District. Bernetta Jones is an energetic and motivating educator who believes that all children can learn “If we begin where the child is and work vigorously to take him where he needs to be”. To this end, Dr. Jones believes in stretching her staff beyond their comfort zone by engaging them in dialog about data, standards and good old fashion teaching and nurturing of students. Prior to beginning her fantastic voyage as an educator, Dr. Jones served our country proudly as a Military Intelligence Officer in the United States Army. While on active duty, Bernetta served as a Public Affairs Officer and a Company Executive Officer. Additionally, she served with the 1st Infantry Division as a Platoon Leader during Desert Shield/Desert Storm. While serving in Iraq, Captain Jones received a field promotion. Today, she is still very proud of her service to our great country – The United States of America. Bernetta’s service as an educator includes the Tift County School System where she served as teacher and assistant principal and the DeKalb County School District in which she served as teacher, assistant principal, and principal. In 2015, Dr. Jones was named the Region V Principal of the Year. Currently, she serves as the Region V Superintendent with responsibility for the instructional, operational, and financial effectiveness of the 25 principals for whom she provides oversight. 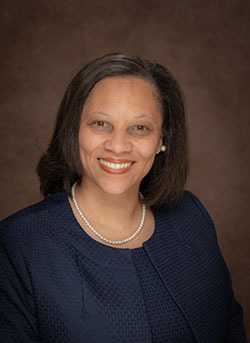 Dr. Jones holds membership in several professional and public service organizations. Among these are the National and the Georgia Association of Educators, the Association for Supervision and Curriculum Development, DeKalb Association of School Administrators, and Alpha Kappa Alpha Sorority. An engaging speaker, Bernetta is known for captivating and motivating audiences, including her students, when she speaks.